The German government has ordered car maker Daimler to recall 238,000 vehicles in Germany after they were found to be fitted with unauthorised emissions defeat devices. In all 774,000 diesel vehicles contain the devices, and Daimler said it would recall them all. Daimler had said it will remove the software, the ministry added. It said Daimler had said it would cooperate with the authorities. 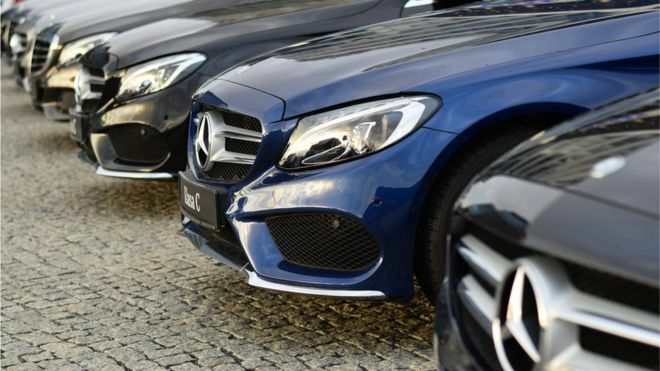 "The government will order 238,000 Daimler vehicles to be immediately recalled Germany-wide because of unauthorised defeat devices," Germany's Transport Ministry said in a statement. Daimler refused to elaborate on where the other vehicles would be recalled. Confirming the recall, Daimler said the legality of the software would still need to be clarified. In 2015 VW admitted having fitted "cheat" devices in vehicles that made their engines appear less polluting than they actually were. About eleven million cars worldwide were affected.